I'm sooo in love with this neoprene two-piece, the perfect date night outfit (although kinda felt like Scuba Steve). I wore this to a super yummy dinner with Oliver last week, we went to Khobkhun Thai restaurant in Newmarket and it was amazing! The waitresses were sooo lovely and the food beautiful - I would recommend it to anyone who lives in the area. Please ignore my multi tonal hair - I am in serious need of a dye job! I really want it to be all over ginger like the middle colour but because it's bleached it fades so quickly. Ahhh girl probz. 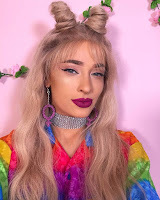 Your style is amazing so unique! I can't believe the bag was only £11! The print on that set is gorgeous! this set is such a dream! so perfect ! 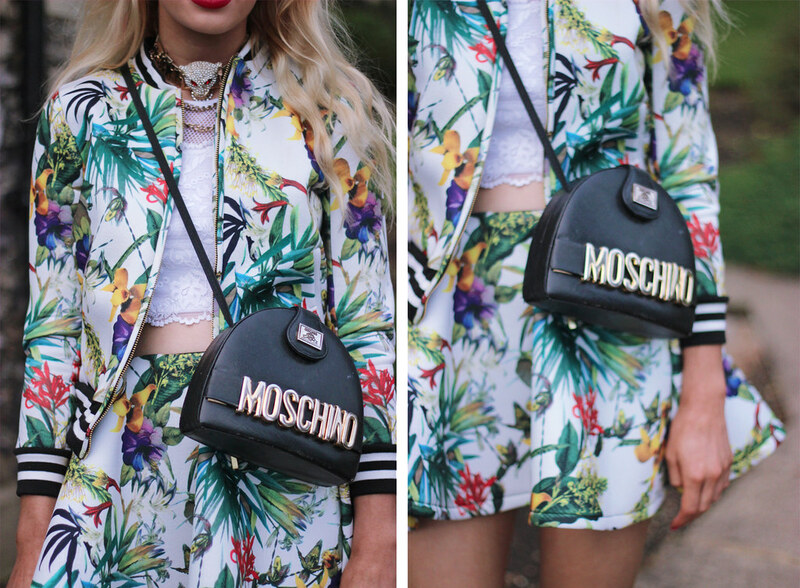 That two piece is perfection and where are you getting all these vintage moschino bags from?! I'm dying with envy. omg Lucy you look INSANE!!!! this is so nice! and how on earth did you find that bag at a car boot sale?! what a bargain! Amazing two piece- I know the hair dye struggle- why can't permanent colour be permanent? 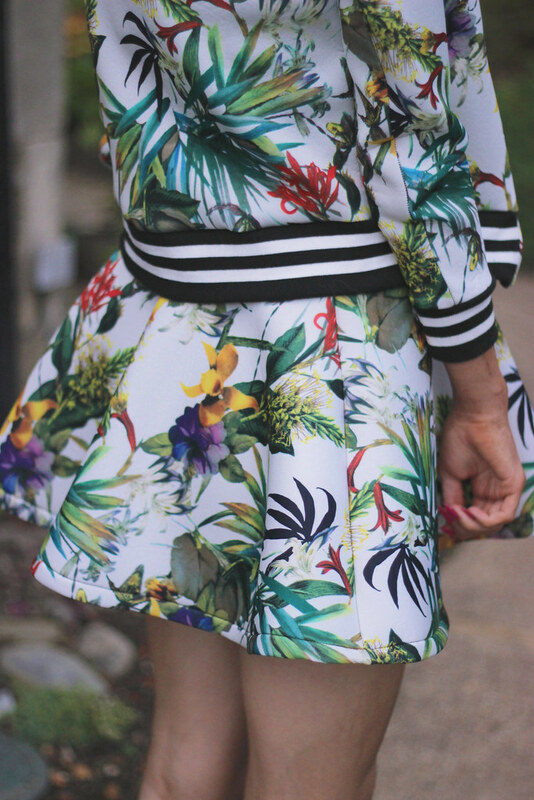 That pretty Choies Design Tropical Print High Waist Skirt and matching Choies jacket look fabulous being showcased by you in these photos! I also love the beautiful lacy River Island crop top that you styled with your outfit. Gorgeous as always! We love your style! Everything is to die for in this outfit! And Moschino is my favourite brand at the minute so so jealous of your bag!